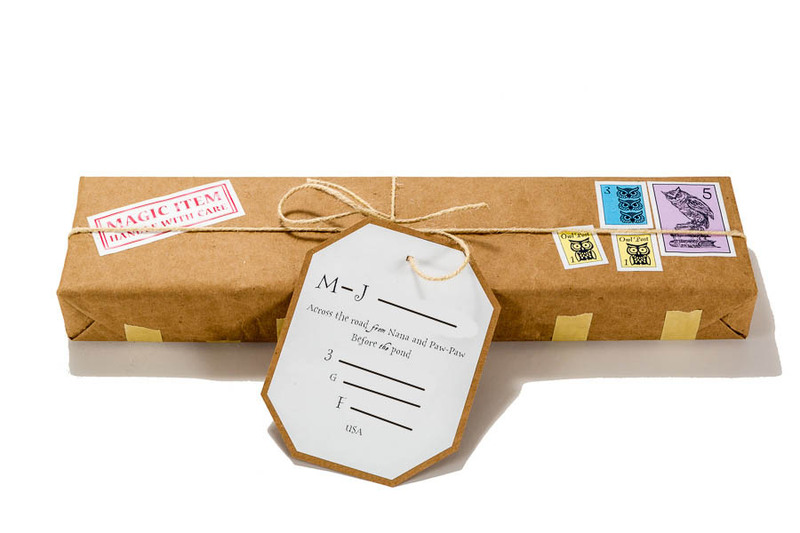 Packaging for a Wizard’s Wand. Name and Address Blanked out to Prevent any Muggling. My ears perked up when I found out that our good friends oldest boy is such a Harry Potter fan that they are going to both HP theme parks in Orlando for his birthday. I thought I’d have just enough time to construct a wand for him before they left.